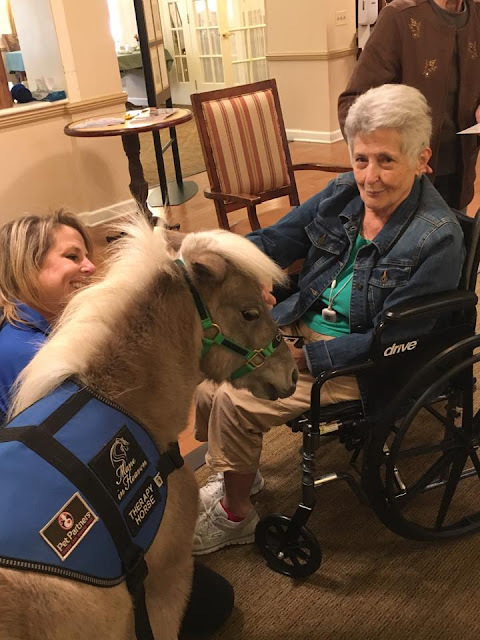 Mane in Heaven Therapy Miniature Horses help improve mental, physical and emotional well-being with love! Image courtesy of Mane in Heaven. How did Mane in Heaven start? Mane in Heaven, a play on the words "Made in Heaven," was founded in February 2012 by Mane in Heaven President Jodie Diegel. As a mother of 3 sons, an RN, the owner of 2 therapy dogs (Buffett and Dudley) and 2 big horses (Garth and Stitch), Jodie understood the healing benefits of animals. An internet ad "miniature therapy horses for sale" caught her eye. That ad sparked the idea of founding a non-profit dedicated to providing visits to those in need with registered miniature therapy horses. Jodie consulted with several equine friends to become part of the founding Board of Directors, including current Board member and Director of Development Dina Morgan and volunteer Jean Gallo. Jodie shared the vision with her Board of requiring volunteers and the miniature horses to become registered or certified through a nationally-recognized organization to ensure credibility and professionalism. After much research, it was determined that Pet Partners, the pioneer of animal-assisted therapy going back to the 1970's (formerly Delta Society) was the only nationally-recognized organization that registered miniature horses AND provided additional $2M liability insurance coverage for registered teams. The objective testing evaluations, with retesting every 2 years, would show the commitment to achieving and maintaining national therapy animal registration. She purchased 3 miniature horses (Lunar, Turnabout and Mystery), instituted a training program for the handlers and miniature horses and recruited additional volunteers. Obtaining official 501c3 nonprofit status was a lengthy process but the Mane in Heaven board wanted to ensure that status was achieved prior to testing and visiting. 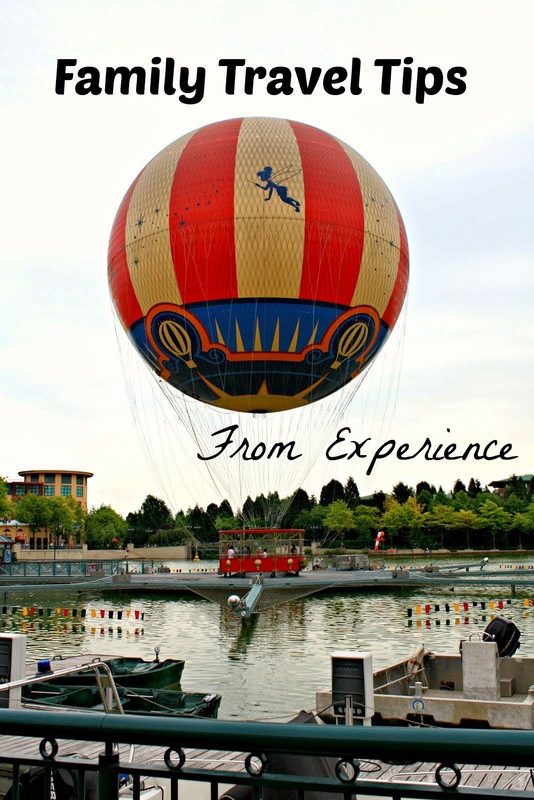 This wait for approval provided the perfect opportunity to focus on training prior to visits. Mane in Heaven became an officially recognized 501c3 nonprofit in September 2012. In January 2013, thanks to graphic artist Sally Ruppert, our professional new logo design debuted with the tagline "Bringing a Little Heaven to Those in Need." Training continued and additional volunteers were brought on in the the Spring of 2013. The horses became registered Pet Partners miniature therapy horses in May 2013 with the Board of Directors and visits started the next month, June 2013. As more of our volunteers became registered Pet Partner handlers (a minimum of 6 months training together as a team is required before a handler can test with a horse), we were able to rotate among our volunteers and our horses at visits. It is a requirement of our organization that all lead handlers, usually those on the left of the our horses, must be registered through Pet Partners with each horse that they handle on visits. We LOVE the fact that we have so many volunteers dedicated to becoming registered Pet Partners teams within our organization. Our volunteers are making a difference in the lives of so many with our horses (and their lives as well because being with these special little horses is their therapy too!). Mane in Heaven horses visiting seniors at Sunrise in Crystal Lake. Image courtesy of Mane in Heaven. Special People helping Special Horses help Special People. In a short time, Mane in Heaven has grown...more volunteers, more miniature therapy horses, more visits. 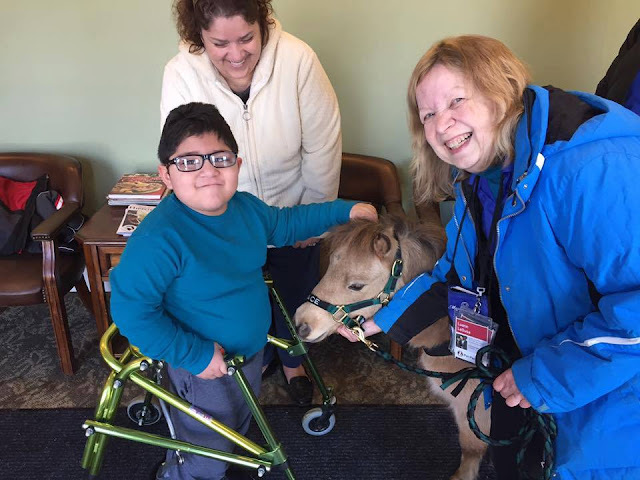 We now have the largest number of registered Pet Partner handlers in any miniature therapy horse organization, of which we are extremely proud of! Mane in Heaven owes much of our success to Dina Morgan's unbelievable networking ability and pursuit of excellence. 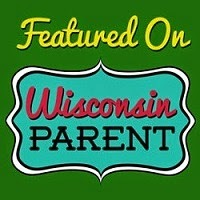 As a Founding Board Member and Director of Development, Dina spearheads the grant-writing and fund-raising committees. Those efforts have resulted in our ability to grow and become financially stable. She is a passionate, tireless and extraordinary woman. We also are blessed to have additional and just as amazing Board of Directors in Claire, Jenn, Danielle, Ann and Hans, each of whom contribute endless passion, time and energy into making in Heaven a very special and professional (and fun!) organization. We are very grateful to all of you who have supported us on this amazing journey and we hope that you will continue to follow us down this path of "Bringing a Little Heaven to Those in Need." Autism Awareness Day at Neil Armstrong School. Image courtesy of Mane in Heaven. 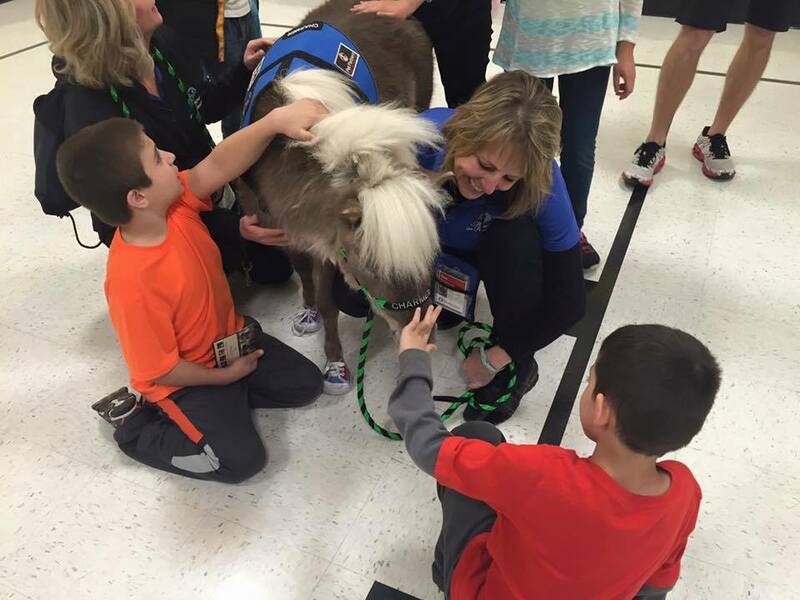 How does a mini horse become a part of the program? It take s approximately 6 months to 1 year for training to become a registered miniature therapy horse. In addition, each volunteer that wants to handle that horse at visits has to test with that horse. They learn commands such as walk, whoa, stay (30 seconds at minimum!) and visit (used to signal the horse will be visiting, they are coming in close to the person to interact). How are the horses able to connect with people? Horses are healers. They have a intuitive nature about them, sensing fear, confidence, anger, joy, etc. They are animals of grace and beauty and while many people may be intimidated by big horses, miniature horses are able to overcome that barrier. There is a kindness and gentleness about them. The horses have to go through extensive training to become desensitized to things that might be scary, such as loud noises, clumsy petting, large groups of people and different handlers. They love to be loved so it's very easy for them to connect when they feel that same love from humans! What types of facilities do the horses visit? What are some ways community members can help? Spread the word about Mane in Heaven! We are an all-volunteer organization, We do not charge for visits and rely solely on donations, fundraising and grants, Thus, more exposure helps increase our possible donation base. We also welcome additional help from the community with fundraising and other ideas to help us be sustainable. We also host yearly orientation sessions for new volunteers. How can kids get involved in the mission? Our volunteers must be age 14 or older to handle our horses. While it is not possible that children may handle, they can help us achieve our mission by hosting a fundraising event such as cupcake sales, cookie sales, or helping out at our 5K Trot-a-thon, our largest fundraiser held yearly. 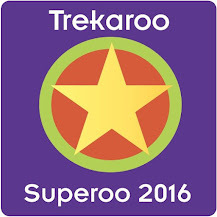 Do you work with schools or scout troops for service projects? We host troops who have done a fundraising event to be part of our training session as well as troops that are seeking their animal badges. What is your favorite Mane in Heaven story? There are so many! The blind boy touching and laughing with Turnabout. A deaf boy with Down Syndrome seeing and touching a horse for the first time and signing "horse" to him mom and to Grace. Lunar visiting a young girl with leukemia who was in the hospital and left her smiling. CinderBella cuddling with a young boy at Marklund, so heartwarming! Faith visiting students at Northwestern University to relieve stress. A young boy with autism connecting and walking with Charmer. Watching Mystery bring such joy and so many smiles to all of the kids at the hospital! What communities does Mane in Heaven serve? 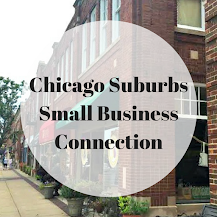 The greater Chicagoland area depending upon availability. We usually visit Wednesdays, Saturdays and Sundays. Visits are less from Jan-April and then our busy season is from May-December. Mane in Heaven Therapy Mini Horses Image by Kerri Weiss. Some of the horses are sporting sneakers! Do any of the Mane in Heaven horses have interesting habits or personalities? Just like people, each horse has a very particular personality! They are all very kind and gentle. We identify which horse fits each visit best based on their personalities. 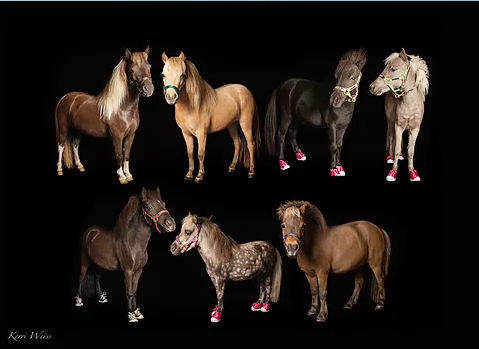 How do the horses like their sneakers? They love their Teddy Mountain sneakers which provides for improved traction on slippery floors, aids in infection control (hooves covered) and of course, they are adorable. Seriously, is there anything more adorable than a mini horse in sneakers? Just like their desensitization training for loud noises, they have become used to them. We often use Skidders sock (no skid kid socks) on Lunar since her feet are bigger! Anything new planned for 2017? We visited over 100 visits last year and hope to do every more this year! We look forward to hosting and training new volunteers and helping our horses "Bring a little Heaven to those in Need." Upcoming Mane in Heaven Fundraisers -- ways for you to get involved! Thank you to Jodie for providing us with more information about this amazing local charity! Thank you to all of the volunteers and horses of Mane in Heaven for spreading love throughout the community!